If you will pardon the pun, I-Day 2018 is pretty much all over but the shouting. (Literally). This blog will be also be short tonight because it's late and tomorrow is another early day. This evening the Basics had dinner, learned about dining hall and theater procedures and had their first of many briefings. 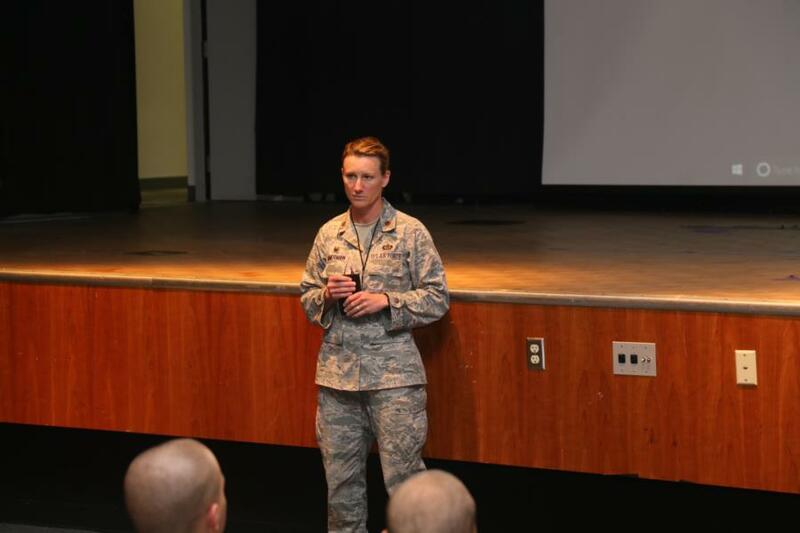 They also received their first briefing from Prep School Commandant of Cadets Lt Col (select) Sarah Zimmerman and they repeated the Oath of Enlistment into the United States Air Force as a class administered by Vice-Commandant of Cadets Major Christianson. 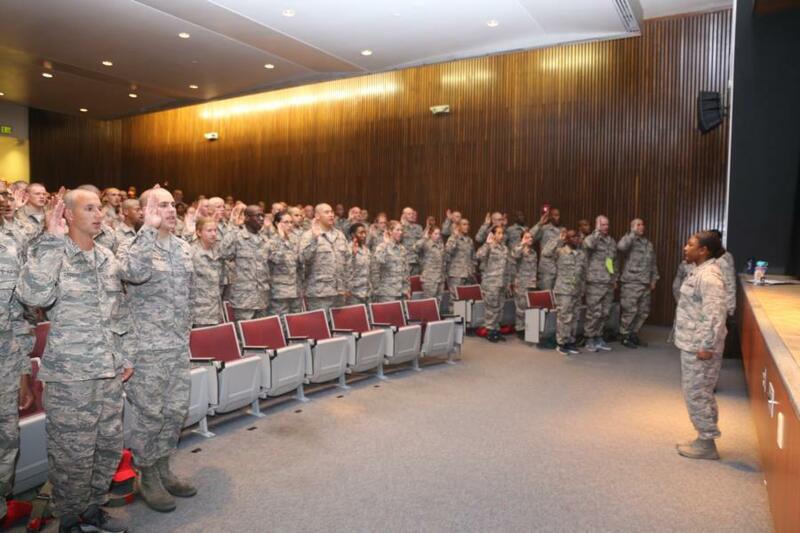 Hopefully in a little less than a year from now many of them will take the Oath as a Cadet. We are off to a great start. So, tomorrow is a full day for the Basics. They will be up very early and it will be a day of waiting in line and continuing with their in-processing. They will have their have ID photos taken and ID cards issued, they will be fitted for the blue service dress uniforms. There are some good photo opportunities for us though, so there will be more photos for you to see tomorrow night. 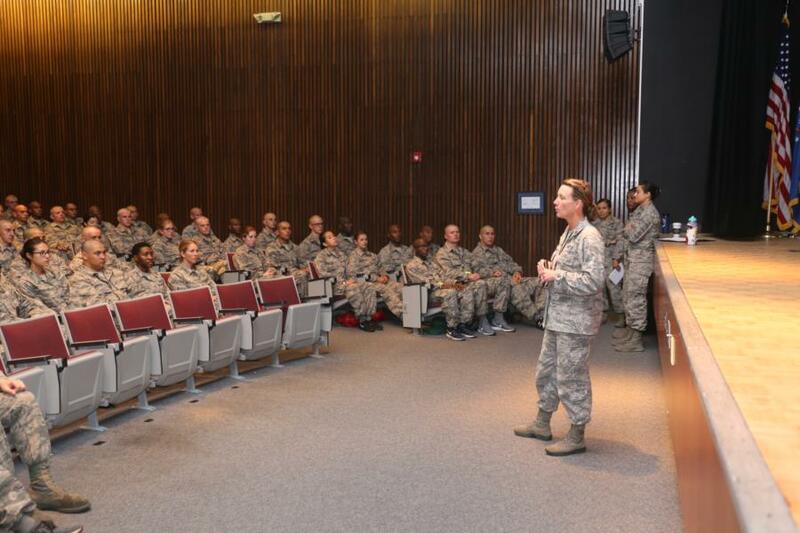 We will also be taking their BMT portraits, but you will have to wait to see those until the conclusion of BMT. Ok, that's it for tonight. There are lots of photos for your viewing pleasure. Just click on "Classes" above. Select the Prep School from the dropdown and then select Prep 18-19 Academic Year. Today's photos are all collected under the Inprocessing Icon. Starting tomorrow, the will be under "Basic Military Training".